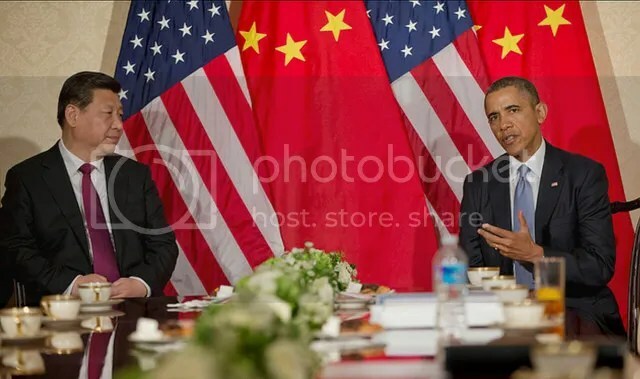 Last month President Obama and the President of the People’s Republic of China, Xi Jinping, jointly announced a plan for both countries to tackle greenhouse gas emissions. The deal, hailed by western media outlets as ‘historic,’ is comprised of some very specific and ambitious targets for reducing emissions. However, climate and political experts on both sides of the Pacific have raised concerns about the ability and intention of both countries’ leaders to make good on their lofty commitments. Under the agreement, the United States, which was previously planning to reduce carbon emissions by only 17 percent by the year 2025, would commit to reducing emissions to 26 percent below 2005 levels by 2025. China would commit to achieve a peak in its CO2 emissions by the year 2030. The deal in its current form would drive the United States to double the pace of its current emissions reductions program in order to meet the treaty’s deadlines. In order to achieve its stated aims, China proposes that by 2030 it will generate 20 percent of its total energy needs from zero-emissions sources. For this to happen, China must provide an additional 800 to 1000 gigawatts of zero-emission energy capacity by 2030. That is more energy than all of the China’s current coal-fired power plants combined. Critics of Obama’s agreement with President Xi claim that the deal puts China under less pressure to reduce emissions, because China must only cap emissions, while the United States must reduce emissions in a shorter time period. However, the agreement is likely to take heavy political and economic lifting for both countries. Though the United States is currently the second largest emitter of greenhouse gases after China, it has been an emitter for much longer than China. The United States began its industrialization in the 19th century and is responsible for around 26 percent of the current man-made greenhouse gases in the atmosphere. In comparison, China did not begin emitting significant amounts of greenhouse gases until economic growth picked up in the 1980s and is responsible for 11 percent of the atmosphere’s man-made greenhouse gases. It seems only logical that China would take more time than the United States to reduce emissions. If China can cap its emissions by 2030, it will have done so just 25 years after the United States, a short timeframe relative to the course of both countries’ economic development. Will Both Economies Be Able To Make Good On Their Promises? President Obama will certainly face pushback on his emissions reduction goals, if not now then when he attempts to implement strategies designed to actually help the country reach these goals. Even without political pushback, meeting the goals set in this agreement will require the use of tremendous government resources and the creation of market incentives. Meeting the goal of a 26 percent reduction of CO2 emissions will require an almost 75 percent decline in the use of coal-fired power plants by 2025, an incredibly demanding goal. Chinese leaders will also face major obstacles in their attempt to meet the goals set out in this agreement. Xi Jinping, despite his influence as the President of the Republic, Chairman of the Central Military Commission and General Secretary of the Communist Party, will need the support of local bureaucrats in order to successfully implement programs that would help China reach these goals. However, local bureaucrats will be reluctant to implement policies when there is very little profit incentive. Another barrier to implementing successful climate policies is the economy. The Chinese economy is slowing, and regulating the consumption of fossil fuels and the economic effects of such policies may prove too politically unpopular for the Communist Party to bear. A Tsinghua-MIT study shows that the use of a $38 per ton carbon tax could help China reach its reduction goals by 2030, which may hint as to what Chinese leaders may be planning. However, if a carbon tax is the way Xi Jinping plans to achieve his stated aims, there should be some doubt about his ability to get the job done. A tax on carbon would most likely mean a rise in the price of energy for the Chinese market and higher prices across multiple industries that are energy intensive. The Chinese Communist Party and vested political interests may be unwilling to implement a tax that would squeeze the average Chinese household’s budget at a time when the Chinese economy is already slowing considerably. In China, a slower economy means less legitimacy for the Communist Party. The idea that Chinese leaders would intentionally bind themselves to goals that could endanger internal stability seems farfetched. Chinese leaders have shown they are unwilling to compromise complete political control for the sake of any reform. They certainly would not start now for the sake of keeping the United States happy. The purpose of this agreement’s ambitions may lie not in the prospect of achieving the goals it sets, but in using the deal for political appearances and hoping for a residual effect. Given the general sense of malaise among Chinese bureaucrats when implementing environmental reforms, China’s president needs a significant amount of political force behind him. China has, for decades, run oil companies that are closely related to government politics and are even a part of the Communist Party’s bureaucracy. In order for Xi Jinping to push environmental reform and renewable energies, he will have to stick his nose right into the business of powerful Chinese politicians. To do this he will need international agreements, which he has much more control over than actual environmental policy initiatives, to leverage his party into putting more pressure on pro-oil industry executives. Obama now also has domestic incentives to achieve climate reform through international agreements rather than domestic legislation. Obama could have gone to Congress with programs designed to reduce carbon emissions. The EU, for example, has been reducing emissions unilaterally for decades. However, Obama has a unique opportunity, and little choice, given recent developments in domestic politics. In November’s midterm elections, the Democratic Party lost control of the Senate and with it any agenda-setting power in Congress. This means that Congress is unlikely to soon take up any meaningful climate legislation of its own. Luckily the President has some tools, and among them is negotiating international agreements. By drafting international treaties and announcing them to the media, the President is setting the Senate’s and the media’s agenda. The Senate will now need to have an up or down vote on the text of this emissions agreement with China, as Obama negotiated it. This means voting yes or no to specific policy initiatives on climate change, something Republicans were most likely trying to avoid. The media coverage this treaty has received also serves to set the public political agenda and focus public pressure around this issue, which might be helpful throughout the legislative process. What Does This Mean For The Fate of This Agreement? It seems likely that this agreement has been drafted and publicized less for the purpose of providing a meaningful path towards emissions reduction and more for leveraging international agreements for use in domestic politics. This treaty, should it be ratified, could be a very meaningful bit of symbolism and a useful tool in shifting political focus onto the issue of climate change. As for the specifics laid out in the agreement itself, I wouldn’t count on their timely realization.